The first electrical power tool of the world is an invention of the C. & E. FEIN company. 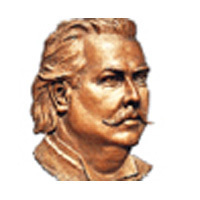 Wilhelm Emil Fein founded the company in 1867. His son Emil Fein developed the first electric handheld drilling machine in 1895. Today the company, which is full of tradition, has 840 employees - 600 of them in Germany - and has become a power tool manufacturer with an international reputation. The German premium quality manufacturer develops and produces application solutions for the market segments metal, interior work and automotive Professional and reliable power tools for craftsmen and industrial operations. 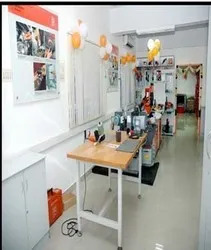 FEIN possesses more than 500 patents and 300 industrial rights. Thirteen international subsidiaries and representations sell FEIN products in 45 countries. The FEIN brand stands for application solutions and premium quality for 140 years now. FEIN is the expert when it comes to professional and extremely reliable power tools and special application solutions in the metal, interior work and automotive fields. As the inventor of the electric handheld drill, FEIN has been developing innovative and unbeatably efficient solutions for practical applications for 140 years; machines that have proven their worth even under the toughest continuous use by craftsmen and industrial operations alike. The company FEIN was founded in the year 1867 by the 25 year-old Wilhelm Emil Fein and his brother Carl. In 1895 Wilhelm Emil Fein constructed the world’s first electric power tool: an electric hand drill. FEIN has been at the forefront of technical development in these fields ever since. We understand the very fact that changes are mandatory as technology keeps on changing everyday. Being well acquainted with involved manufacturing processes, our range of products been precision designed so as to provide utmost usage satisfaction of our customers, thus in turn helping us in achieving large client base in the domestic and overseas markets. 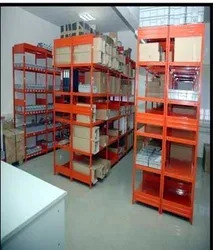 Well equipped with latest production equipment and machines, we are also able to design our equipment in accordance with changing demands of our clients. Our business operations are well supported by a team of dynamic & talented professionals. Backed by precision engineering and construction standards, our products finds application in varied industrial process applications. Our customer oriented business approach as well as consistent production standards has helped us in our emergence as a leading company. Meeting the process application demands of diverse industries, our process expertise of delivering these in customized specifications as well as at competitive prices has also helped us in making many quality conscious customers in the national and international markets. 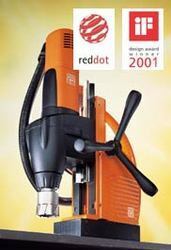 Design Innovation 2000: Three times "Roter Punkt" for FEIN. The decision of the international jury for the "Design Innovation 2000" competition in the North Rhine-Westphalia Design Centre has been made: Three times "Roter Punkt" for high design quality for the FEIN products "WSB 25-230 angle grinder", "WSG 12-70 E universal angle grinder" and "Drill/driver SCS". 1389 entries were sent in for review from 724 companies and 512 designers. was stiff and only the best were awarded. Along with other reputable prize-winners such as Sony, Audi, Dornier, or Daimler, FEIN was also included with those awarded. The Angle grinder "WSB 25-230", the "Universal angle grinder WSG 12-70 E", as well as the "Drill/driver SCS" won the prestigious award. They are decorated by the world-wide acknowledged "Roter Punkt" seal of quality, the sign for outstanding design performance of the year 2000. For FEIN this is both incentive as well as confirmation that it belongs to the leading edge in developing innovative and modern products in the future. Prized: The FEIN safety angle grinders WSB 25-230 and WSB 25-180. Once again FEIN has received awards for innovative developments. The Dr. Rudolf-Eberle Prize was awarded to the two FEIN angle grinders WSB 25-230 and WSB 25-180, for which eight patents are pending. The most significant innovation is the completely wear-free and exceedingly efficient electric braking system, which brings the disc to a standstill in less than three seconds when switched off. It makes working with the powerful angle grinders considerably safer. The innovation prize is bestowed in memory of the former Minister for Economic Affairs from Baden-Wuerttemberg, Dr. Rudolf Eberle, and is given to companies that have shown exemplary performance in developing new products. Technical advancement and innovation, the special corporate performance, and the economic success are evaluated.